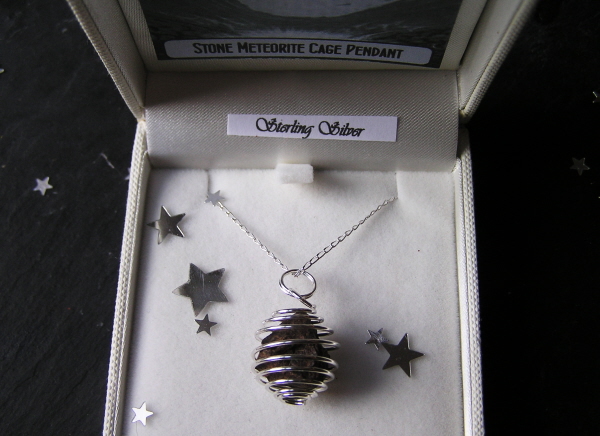 This is a lovely little pendant crafted from a whole stone meteorite strung from a solid silver curb chain inside a silver plated cage. 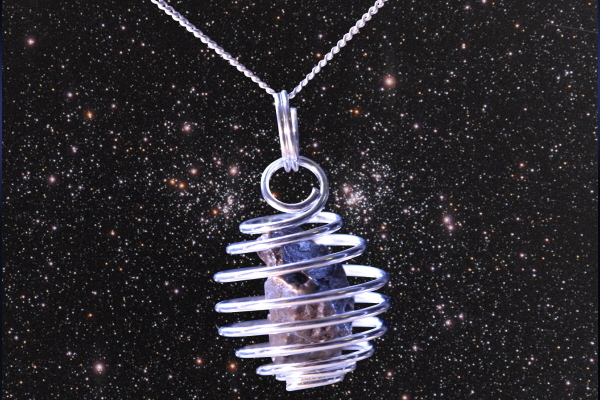 It is a stone chondrite meteorite and was originally part of the Asteroid Belt - a huge ring of rock pieces flying in a ring between Mars and Jupiter. 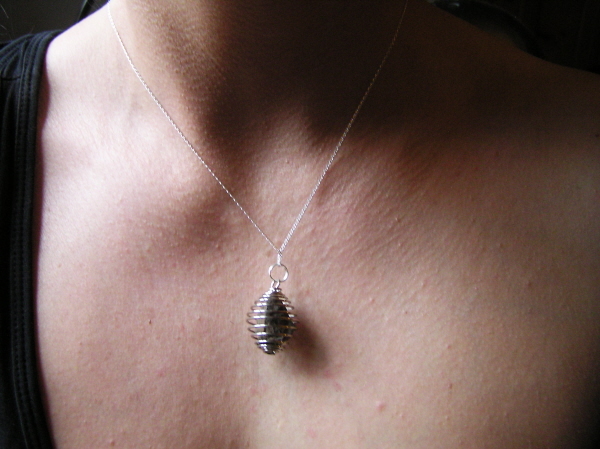 This is a stunning piece of jewellery and will gain interest whenever it is worn.